Calling all students to come shop with us every Tuesday and Thursday (starting tomorrow)! 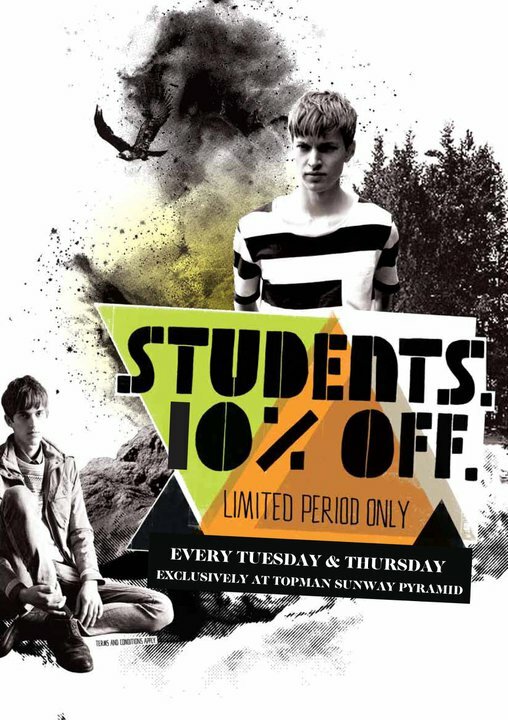 We are pampering you with 10% off all regular priced items at Topman Sunway Pyramid only! Gather your friends and start shopping for the new semester! 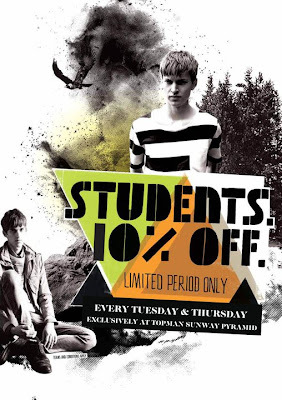 // source from Topman Malaysia .